Posted on 17 September 2018 by Kapiti SeniorNet Inc. I was reading an article in a consumer magazine about how to protect your privacy when using Facebook and the author had added a sidebar about an anti-tracking product (Privacy Badger) that he recommended. From there I found the Privacy Badger reviews online and decided to give it a go. Privacy Badger is a free browser extension for Google Chrome, Mozilla Firefox, Opera, and Firefox for Android created by the Electronic Frontier Foundation. Posted on 19 April 2018 by Kapiti SeniorNet Inc. The Committee has decided to provide the Enrolments Coordinator with a mobile phone that will become our primary phone number for booking all Classes and Workshops. 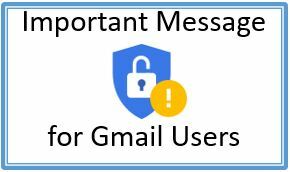 This has been done for several reasons including freeing up the Coordinator’s personal phone for private use, ease of handover when the coordinator travels/is unavailable, a separate voicemail for SeniorNet messages and the ability to offer WhatsApp calls. 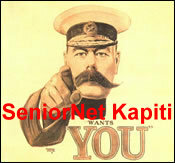 Posted on 13 November 2017 by Kapiti SeniorNet Inc.
You might find that your old printer is playing up. Should you try to get it fixed? If you decide to buy a new one, you notice that you can spend anything from $80 to $500 – how do you decide? And, what brand to buy?